Tagged: This request will be completed within 24 to 72 hours. Thank you for your patience on your review request! 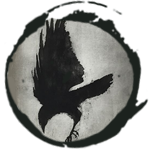 Currently @TheCrow is away for now and will get to your review as soon as they can. For now I will be happy to tag this review. I do apologize about the delay of your review. Currently due to unforeseen events I am currently unable to complete this review for you. I cannot speak for TheCrow on this but I would be happy to reach out to them an see if there is an update regarding your review from them. Again, I do apologize about the delay for this. Upon first visiting your forum I was greeted with a very colorful banner and a blank pop-up box on the front of the screen. Your site theme grabbed my attention with the cool blue and neutral white and grey that complement eachother and isn't very hard on the eyes. I was slightly confused that the site only had one board on it until I realized I was only viewing 1 of the 4 tabs provided. Some of the features that really grabbed my attention was the theme changer and even the widgets that are hidden in a tab, very creative touch. Overall, I was impressed by the first impressions and I look forward to reviewing your site! Looking at your site's overall apearance, it is very appealing to the eyes as it isn't too hard on the eyes, there are a few places I would improve upon but we will get to those shortly. One feature that definitely caught my eye was the theme change you have implemented. This is a very creative feature as it allows the member and even guest to change the site theme to a color they like and prefer. One thing that did stand out to me was that upon visiting it defaults to "The Lobby" tab which only has 1 board in it which made me think that was the only one on the site until I clicked on "All". I would suggest having the "All" set as the default if possible to make it show all boards at the start rather then just one. One other thing I would suggest would be to add something such as a picture or text to the pop-up box that shows up when visiting the site and when you aren't logged in as it only shows "Login, Register, and Close". Other then that you have done a great job with your site design to grab the attention of your visitors. Keep it up! Looking at your site activity, we show that there has only been 3 logins in the past 24 hours, 2 of them being members and 1 being staff. I do show a few new topics and posts in the boards over the past day which is good to keep new content flowing to show the site is still active. Just like every site, the most important thing to focus on is keeping your members active and keep them posting to help keep the site active and bring in new members to the site. My suggestion would be to try engaging the members more and getting them to post new content to help keep things flowing on your site as I noticed a large majority of the content is started and posted by you rather then other members. Your site is still young as it has been open for less than a year so great work with what you currently have. Overall, your site activity is definitely something I would suggest focusing on to help continue to grow your site but other then that you have done a wonderful job filling the boards with content. So looking at the usergroups and staff, your site only shows 1 staff member being you as the owner which is fine. The site doesn't seem to need more then 1 staff member at this time until it grows super busy and requires more people. We show a total of 8 usergroups in total but it appears that only 3 of them being used being the Members, VIP Member, and Head Administrator group. I would suggest hiding some of the groups that aren't being used at this time until they are needed this way it doesn't confuse others why they are there but aren't being used. One other suggestion I would have would be to change the Member group color to something that doesn't blend in witht he background on the grey colors so they stand out more as some member names I can't see in lite mode on the site due to the gray backgrounds. Overall, you have a good set of usergroups that are easy to understand and make sense to the site so great work and keep it up! Your forum definitely shows a lot of potential as political views is a very hot topic category since there is always something political going on in the world that can be discussed. This definitely helps to bring in fresh content and helps keep the forum alive. As I mentioned before with the activity, I would suggest trying to get your existing members to post new content or continue posting in the existing content to help grow the site. Your forum has great potential to continue as politics continues to grow and be a hot topic. One suggestion I would have for your originality is to try revamping the theme to seem more political as I stated above. The hardest part for your forum however will be that there are a lot of different politial sites out there which makes it harder to stand out. Overall, you have pretty good with standing out and I hope to see your site grow even more as time progresses. After taking some time to review your forum, I was not able to find any spelling or grammical errors. So for this, there isn't much on that to review for this so great work and keep it up! So after taking the time to review your site, I was pleased to be able to review your site and help point out a few points that I would suggest focusing on. Overall your site design is creative with the theme changer which is a great feature to add not only originality but to help stand out as not a lot of sites offer that feature to their members. Your site activity is the biggest area of improvement that I was able to find in our site as your site does stand out to new visitors such as myself. Maybe try running a competition or something that gets your current members active and may also get others to join your site to participate which will help with overall growth of your site. Your site is very professional with the proper spelling, grammar, and well designed and organized site. It was an absolute pleasure getting to review your site and I look forward to seeing what you make of it going forward as it isn't everyday I get to review a political based site. Would you like to share your review on your forum, on another forum, or with your friends? Then here you go... grab the code! [*]Upon first visiting your forum I was greeted with a very colorful banner and a blank pop-up box on the front of the screen. Your site theme grabbed my attention with the cool blue and neutral white and grey that complement eachother and isn't very hard on the eyes. I was slightly confused that the site only had one board on it until I realized I was only viewing 1 of the 4 tabs provided. Some of the features that really grabbed my attention was the theme changer and even the widgets that are hidden in a tab, very creative touch. Overall, I was impressed by the first impressions and I look forward to reviewing your site! [*]Looking at your site's overall apearance, it is very appealing to the eyes as it isn't too hard on the eyes, there are a few places I would improve upon but we will get to those shortly. One feature that definitely caught my eye was the theme change you have implemented. This is a very creative feature as it allows the member and even guest to change the site theme to a color they like and prefer. One thing that did stand out to me was that upon visiting it defaults to "The Lobby" tab which only has 1 board in it which made me think that was the only one on the site until I clicked on "All". I would suggest having the "All" set as the default if possible to make it show all boards at the start rather then just one. One other thing I would suggest would be to add something such as a picture or text to the pop-up box that shows up when visiting the site and when you aren't logged in as it only shows "Login, Register, and Close". Other then that you have done a great job with your site design to grab the attention of your visitors. Keep it up! [*]Looking at your site activity, we show that there has only been 3 logins in the past 24 hours, 2 of them being members and 1 being staff. I do show a few new topics and posts in the boards over the past day which is good to keep new content flowing to show the site is still active. Just like every site, the most important thing to focus on is keeping your members active and keep them posting to help keep the site active and bring in new members to the site. My suggestion would be to try engaging the members more and getting them to post new content to help keep things flowing on your site as I noticed a large majority of the content is started and posted by you rather then other members. Your site is still young as it has been open for less than a year so great work with what you currently have. Overall, your site activity is definitely something I would suggest focusing on to help continue to grow your site but other then that you have done a wonderful job filling the boards with content. [*]So looking at the usergroups and staff, your site only shows 1 staff member being you as the owner which is fine. The site doesn't seem to need more then 1 staff member at this time until it grows super busy and requires more people. We show a total of 8 usergroups in total but it appears that only 3 of them being used being the Members, VIP Member, and Head Administrator group. I would suggest hiding some of the groups that aren't being used at this time until they are needed this way it doesn't confuse others why they are there but aren't being used. One other suggestion I would have would be to change the Member group color to something that doesn't blend in witht he background on the grey colors so they stand out more as some member names I can't see in lite mode on the site due to the gray backgrounds. Overall, you have a good set of usergroups that are easy to understand and make sense to the site so great work and keep it up! [*]Your forum definitely shows a lot of potential as political views is a very hot topic category since there is always something political going on in the world that can be discussed. This definitely helps to bring in fresh content and helps keep the forum alive. As I mentioned before with the activity, I would suggest trying to get your existing members to post new content or continue posting in the existing content to help grow the site. Your forum has great potential to continue as politics continues to grow and be a hot topic. One suggestion I would have for your originality is to try revamping the theme to seem more political as I stated above. The hardest part for your forum however will be that there are a lot of different politial sites out there which makes it harder to stand out. Overall, you have pretty good with standing out and I hope to see your site grow even more as time progresses. [*]After taking some time to review your forum, I was not able to find any spelling or grammical errors. So for this, there isn't much on that to review for this so great work and keep it up! [*]So after taking the time to review your site, I was pleased to be able to review your site and help point out a few points that I would suggest focusing on. Overall your site design is creative with the theme changer which is a great feature to add not only originality but to help stand out as not a lot of sites offer that feature to their members. Your site activity is the biggest area of improvement that I was able to find in our site as your site does stand out to new visitors such as myself. Maybe try running a competition or something that gets your current members active and may also get others to join your site to participate which will help with overall growth of your site. Your site is very professional with the proper spelling, grammar, and well designed and organized site. It was an absolute pleasure getting to review your site and I look forward to seeing what you make of it going forward as it isn't everyday I get to review a political based site. Note: Please be reminded that members are not allowed to use this template for reviewing as it is reserved for the staff only. Thank you. Thank you Jadster! I appreciate the response and the review. I am doing my best to make Bethea's Byte better everyday with content, with little additions and changes here and there, plus, trying to play "promoter" trying to drive activity up as well. As far as the one thing you mentioned in regard to this section in the "Forum Appearance" area of the review. @Jadster wrote: I would suggest having the "All" set as the default if possible to make it show all boards at the start rather then just one. One other thing I would suggest would be to add something such as a picture or text to the pop-up box that shows up when visiting the site and when you aren't logged in as it only shows "Login, Register, and Close". Other then that you have done a great job with your site design to grab the attention of your visitors. How do you suggest I go about these areas? For the "Login, Register and Close" area, I can use a standalone logo for that. I just want to know how to set it up. The other, the Category Tab Code I'm trying to figure out how to set it up to have "All" as the default. Still I appreciate the review and like I said, with work, wedding planning and Deacon training, I'm doing my best to make Bethea's Byte better everyday. So thank you. Do you happen to have the link of where you got the tabbed categories set up so I can review it and see if I can figure that out for you? @Jadster wrote: Thank you for the feedback, I appreciate it. The Category Tabs code I figured out. It's that area with the Login, Register, Close feature. EDIT: I found it. Now I fixed that.